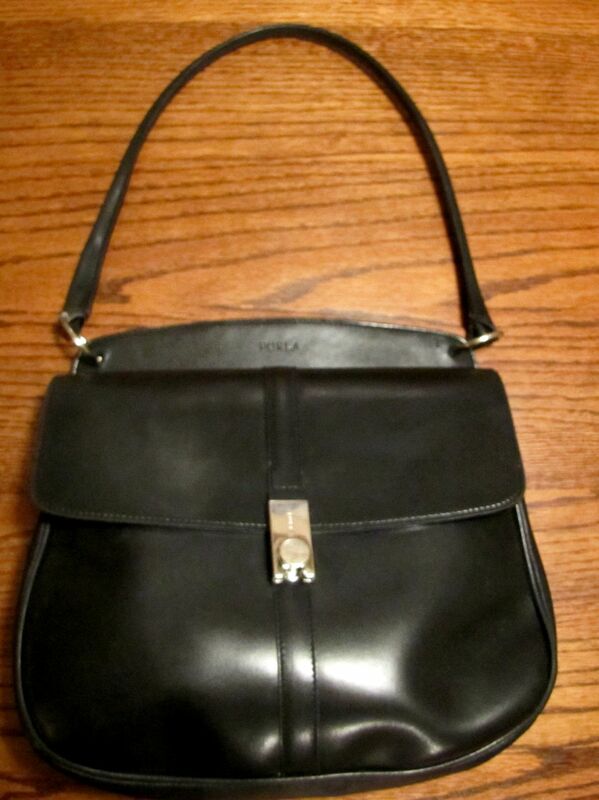 Vintage Furla black leather shoulder bag. 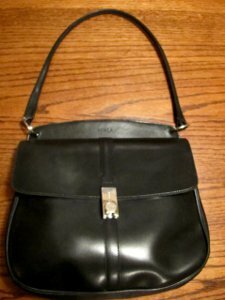 This bag has a very heavy clasp or sliding closure which actually locks when turned, which is a very good element to have for a purse. 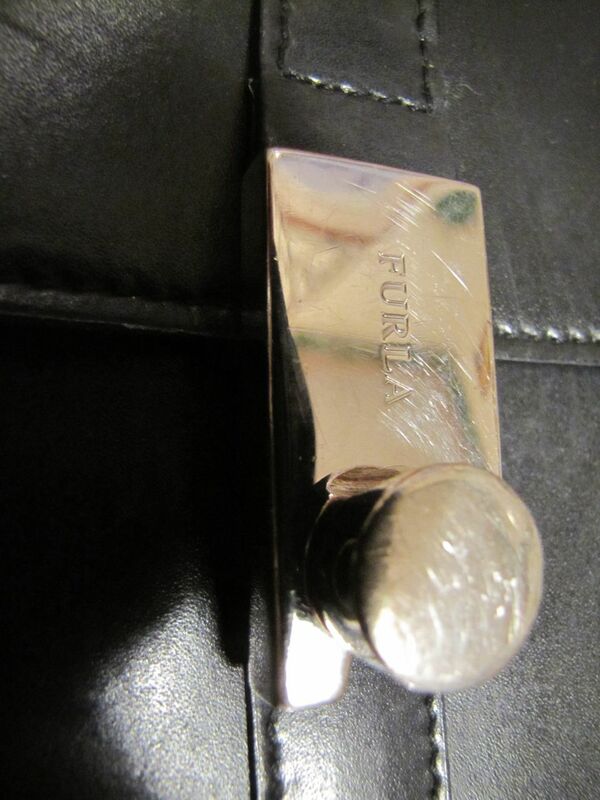 It is marked Furla on the outside upper leather area, on the outer clasp and on the inside metal emblem reading Furla Made in Italy. It measures 21 1/2" drop - from handle to bottom of bag, with the bag part measuring 11 1/2" top to bottom and 3 1/2" in depth. 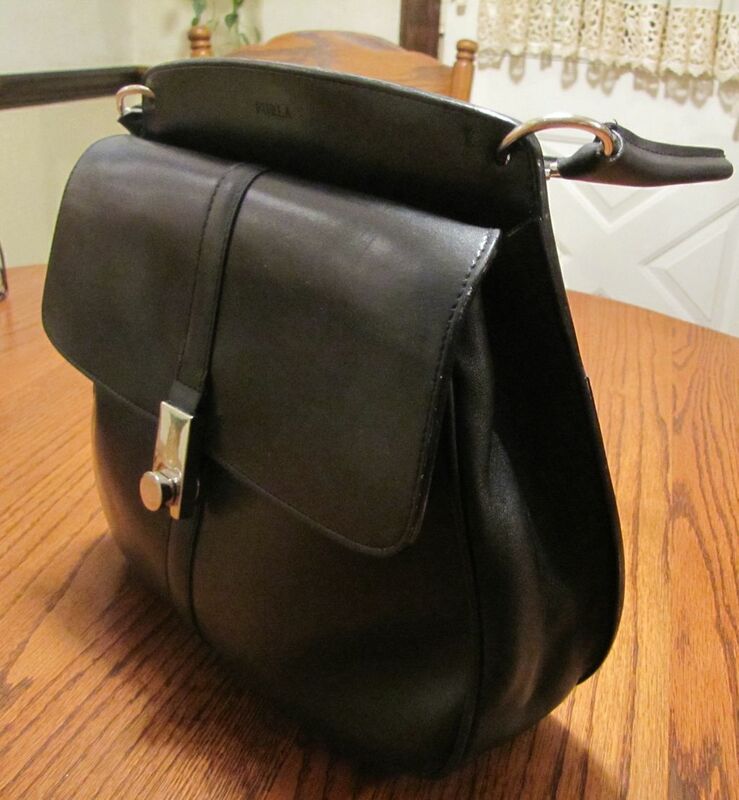 There is an inside zippered compartment and a cell phone holder compartment. 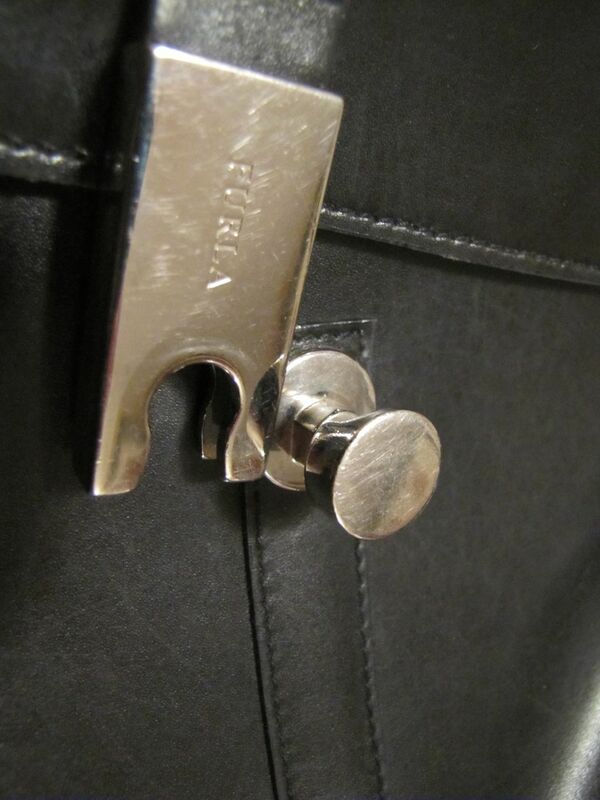 There is also an outside pocket on the back which has a snap closure marked Fiocchi Italy. The inside material has the Furla logos though-out. The fabric is in good condition with no tears and the leather is thick. 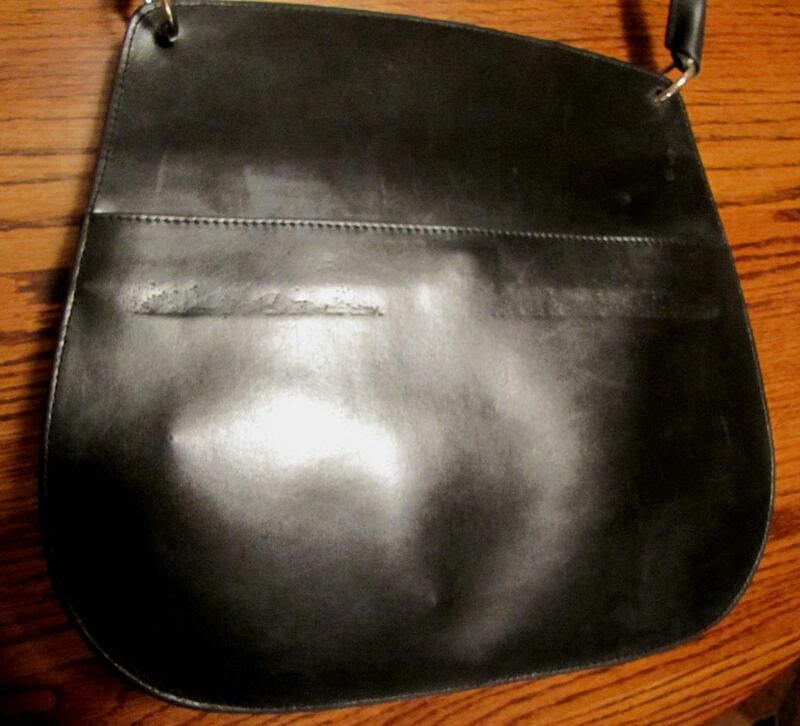 The bag itself is in good condition with only gentle usage.